Hi, I’m Ralph Grizzle. I run rivercruiseadvisor.com and this week I’m on the Rhone River. What I love about this river is that it combines the beauty of the river with the charm of Provence. I get a lot of questions about the Rhone and about France in general. Here’s our Riverside Chat featuring the Rhone River. This week Celebrity Cruises revealed more about the new ship Celebrity Edge, specifically the area of the ship called Eden. The definition of Eden is “a place of pristine or abundant beauty; a state of perfect happiness or bliss; paradise.” Celebrity is striving for this new onboard destination to truly live up to that description. “Talk is cheap.” No truer words have ever been spoken. Most people have a tendency to tell people what they think they want to hear, regardless of what they are planning to do later. If you want to distance yourself from the rank-and-file, this is one of the easiest ways to do it. Do what you say you are going to do. If you are not going to do it, don’t say it. If you say it, do it. The Antrim Coast, an area in Northern Ireland, is known to be one of the most scenic places in the country. Designated as an area of outstanding natural beauty in 1988 under the Nature Conservation and Amenity Lands, the Antrim Coast is nothing short of breathtaking in all of its varied natural beauty. From sandy beaches to dangerously magnificent cliffs, the Antrim Coast is a must visit on any trip to Ireland. Everything you do has something in common with personal discipline, and is influenced in some way by professional selling skills. We are all selling something to someone, which makes us all professional salespeople. The American Society of Travel Agents (ASTA) is proud to have partnered with The Company Dime to produce “Unmanaged to Managed: Why and How Companies Formalize Travel Programs,” a groundbreaking research project focused on the barriers and opportunities related to converting “unmanaged” business travel to managed travel. When I ask young people to “read,” I feel like I’m asking them to sit down and prepare themselves for a root canal. Who or what is to blame? TV? Video Games? Computer Screens? 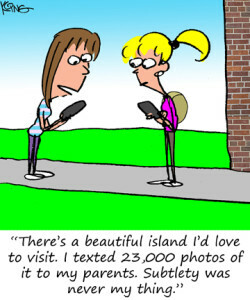 Smart Phones? Poor Eyesight? Who cares? San Carlos de Bariloche is a city tucked away within the oldest park in Argentina. From European architecture, to delicious chocolate treats, to mountain views unlike anything you may have seen before, Bariloche is the place to see in Argentina. Thanks to Aerolíneas Argentinas, the supplier sponsor for this article, you won’t miss your chance to visit the charming city of San Carlos de Bariloche. Not long ago, the term multitasking came into vogue, and everybody started to wear it like a badge of courage. What you did not read about was the associated stress that accompanies multitasking, along with the multitude of major-league screw-ups resulting from such a counter- productive practice. The jury is back, and the proof has been documented. Multitasking does not work. Most people believe they are smart enough to pull it off. News Flash. You are not. Could you become a home-less travel professional? Last week, I went to dinner with a colleague. And like all great conversations, this one began after a few drinks. His phone stated to beep, vibrate, and buzz. I realize that most travel professionals today are on call 24-7, so it was not unusual for him to address the beeps, vibrations, and buzzers right then and there. I had expected a short, simple response and a return back to our conversation. But no! He kept tapping. Show Appreciation Regularly. My good friend Stuart Cohen refers to this as the “attitude of gratitude.” Another way of looking at this is “knowing what side of the bread the butter goes on.” Showing thanks is of great importance and significance. And although everybody knows they should do it, this practice is seldom exercised. When the White House announced that President Trump would be reversing the Obama administration’s policy changes pertaining to Cuba, many in the travel industry were concerned. Tour operators and cruise lines have made commitments and investments in Cuba travel, and many travel agents have deposited trips for clients already on the books for 2017 and 2018. The Trump administration’s plans could adversely affect a lot of businesses. Scenic Luxury Cruises and Tours, working in partnership with PBS National Sales, has announced its sponsorship of the fourth season of The Great British Baking Show, airing Fridays at 9 p.m. as of June 16th. The classic argument of who came first, the chicken or the egg, is most evident when discussing marketing and sales. 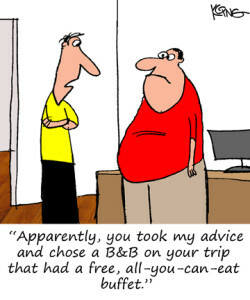 The marketing folks will say that without them the salesperson would not have any customers. The salespeople will say without them no one, including the marketing people, would have jobs. As a lifelong salesperson, I subscribe to the later theory. 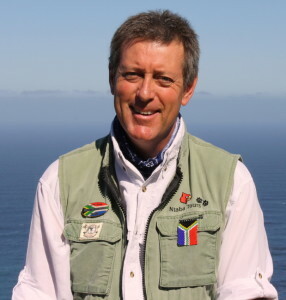 Robin Mountain is the Owner and CEO of Ntaba African Safaris. Along with his wife Stella, Ntaba African Safaris works tirelessly to provide itineraries that go above and beyond the expectation of their clients. Robin has not only traveled extensively through Africa, but even summited Mount Kilimanjaro three times! Qualified and registered National South African Guide is another title Robin wears, and he personally accompanies the majority of the tours Ntaba African Safaris hosts. With a degree in Animal Science and a wealth of knowledge on wild animals and bird life, Robin Mountain knows Africa, from culture to languages to animals. Summer is a time for BBQ’s, triathlons and gardening. Think about the planning that goes into each of these fun summer activities. Take the summer backyard BBQ for example; think of all the planning that goes into that party. Menu planning, grocery shopping and grass mowing are only the start. Doing these tasks in the right order keeps the budget in line and ensures you won’t have fresh cut grass in your glass. The concept of balance is often overlooked when it comes to building a life worth talking about. Most people skip right over the topic thinking it is too obvious, too elementary, too mundane.